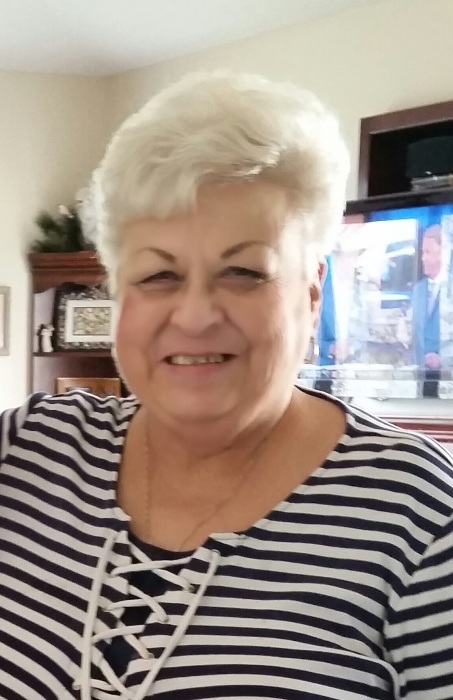 Pamela Kathryn Warner, age 72, of Stone Lake, WI passed away peacefully on Friday, March 29, 2019 at Water’s Edge Care Center in Hayward, WI. She was born on October 4, 1946 in Robbinsdale, MN, the daughter of John “Jack” DeMarais and Kathryn Henlien. She was united in marriage to David Henry Warner on September 17, 1966. Pam’s main interests besides her children and grandchildren was a love for dogs and cats. From the time she was a young girl, animals were her love. As an adult Pam bred, raised and showed dogs competitively. Her favorites were Pugs and Papillions. In the early 1970’s Pam and David moved to Arizona where she joined a premier kennel club known as Kachina Kennel Club. She became president of this club and was active in this club many years. In the early 1990’s Pam and David purchased a small ranch in Phoenix and started breeding and showing Arabian horses. Pam’s knowledge of animals helped to produce several show champions. In the late 1990’s Pam and David returned to the Northwoods of Wisconsin where Pam found her calling as a volunteer for the Northwoods Humane Society of Hayward. She was a board member and regular volunteer at the shelter for 18 years. Adopting out rescue dogs and cats was her love and passion and she formed many friendships with the other heroes of the shelter. Pam’s biggest love and pride came from her grandchildren. She attended every athletic event that her grandsons’ Matt and Corey participated in (and there very many), and she was so very proud of her granddaughter Paige for her talent as a musician, makeup artist, and Paiges’ ability to draw. A memorial service will be held at 11:00 A.M. on Friday, April 5, 2019 at Spider Lake Church: 12104N Lower Twin Lake Road (Hwy 77 East from Hayward) where visitation will be held from 10:00 A.M. until the hour of the service. Interment will be private. Memorials may be directed to Northwoods Humane Society of Hayward, WI.